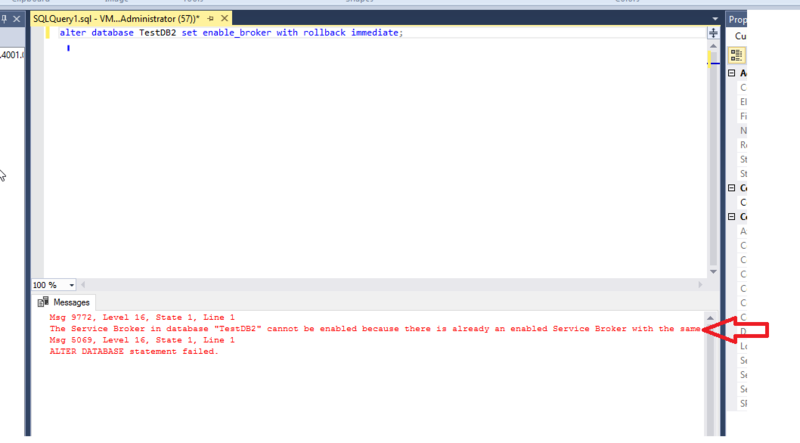 Sometimes I need to take screen shots of error messages in SQL Server. How can I turn on word wrap in the messages pane so I can capture all the text in the screen shot? Unfortunately, there isn't an option to enable word wrap in the messages pane. You can enable for the text editor window (through Tools -> Options -> Text Editors), but that doesn't really help in your situation. In case you didn't know, though, you can click into that messages pane and edit the text. So you could insert the line breaks yourself. Not ideal, but good enough to get the desired screenshot. I checked Azure Data Studio as well, it does not have a word wrap feature for output messages either.